Both pages are beautifully done despite the paper. You are right about leaving the text until last, it's one of the things I've decided I will do in my next(!) 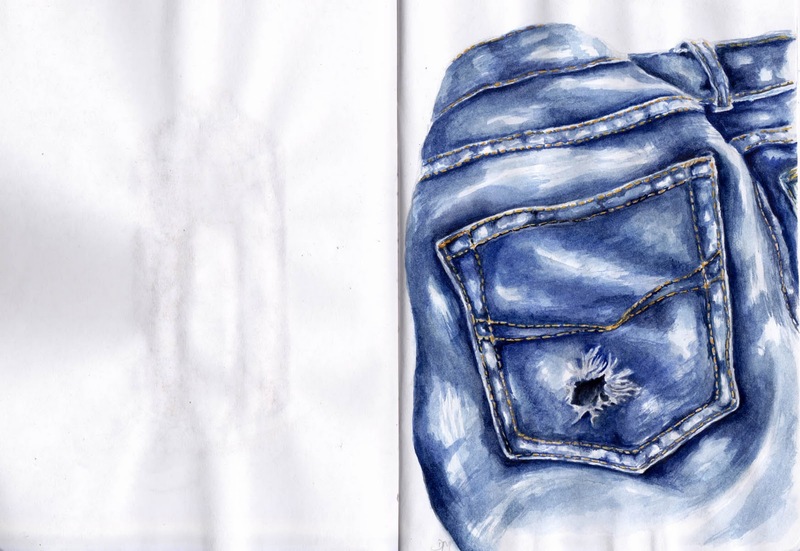 sketchbook project. Crickey...you haven't half got your sketchbook off to a flying start. This looks like some of my jeans! Very nice. Debra this made me smile, I just love your subjects...anything goes! And of course you painted this wonderfully too!